Pylons carry high-voltage electricity cables from the Grootvlei power station, operated by Eskom. Political meddling, state capture and corruption at Eskom were among the players leading to the power utility's crisis, the National Energy Regulator of South Africa (Nersa) heard on Monday. The regulator kicked off its nationwide public hearings, for two tariff applications, in Cape Town. Eskom wants a 15% increase in tariffs for the next three years, as well as an increase to recover losses made in the 2017/18 year. Executives from Eskom made submissions, as did civil society groups. 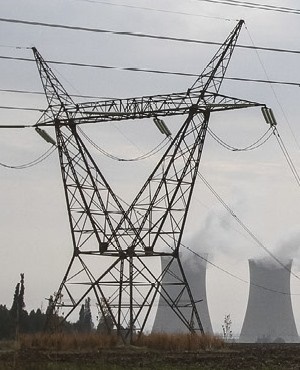 Ronald Chauke, portfolio manager on energy for the Organisation Undoing Tax Abuse, said that although Eskom brought about its own downfall, there were other factors, such as corruption and state capture, which worsened the situation. He said members of the public were paying the "ultimate price" for the maladministration and corruption which took place at the entity. "Eskom is going nowhere until Eskom changes the way it does business." Chauke called for the new leadership to act urgently in addressing the business model. Ted Blom of Mining and Energy Advisors called for Nersa to probe the entity. This would be in addition to probes by the Special Investigations Unit, Parliament and the Zondo Commission of Inquiry. Blom believes Nersa would conduct an investigation focusing on price manipulation. He also argued that the entity was struggling to get capital from markets because they had lost confidence in Eskom, and not because of poor financial ratios. Earlier on Monday, chief financial officer Calib Cassim and CEO Phakamani Hadebe highlighted that Eskom's balance sheet was poor and affected its ability to secure long term bonds from the market. Carl Braam Opperman, CEO of Agri Western Cape, also made submissions on the impact of the tariffs - which are higher than inflation - on the agriculture sector. He said a sharp increase in electricity prices would place cashflow in the agri-sector under pressure, as electricity is a major cost contributor to agriculture. Farms spent R7bn on electricity in 2017. The 15% increase over three years, including the tariffs for the regulatory clearing account, will push up cost to R11bn, which the sector cannot afford, said Opperman.